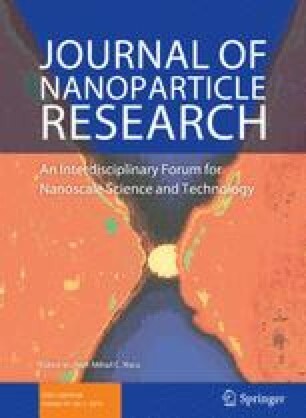 In this study, a set of nitrogen-doped TiO2-based nanomaterials demonstrating photocatalytic activity was developed by combining the efforts of lattice doping and metal nanoparticle decoration and tested for photo-degradation of methylene blue dye by applying solar simulator irradiation. The surface potential shifts of these TiO2-based photocatalytic nanomaterials measured by Kelvin probe force microscope have been used to study the degree of electron generation of the photocatalysts after irradiation and were well correlated with the photocatalytic activity. The nitrogen-doped TiO2 nanowires decorated with Pt nanoparticles can induce obvious electron accumulation and result in a large shift of surface potential. The analysis shows a clear correlation between the surface potential shift and the photodegradation activity. Furthermore, a thorough comparative photocatalytic activity study combined with X-ray photoelectron spectroscopy analysis of the materials—doped with nitrogen under various conditions—reveals that the photocatalytic efficiency of the catalysts is maintained even if the lattice doping is leached e.g., by thermal treatments after doping. By monitoring the surface potential shifts of various TiO2-based photocatalysts by photo-assisted Kelvin probe force microscopy, we obtain a useful tool for developing novel materials with high photocatalytic activity. The online version of this article (doi: 10.1007/s11051-013-2143-y) contains supplementary material, which is available to authorized users. The authors are grateful for financial support received from National Science Council of Taiwan (102-2633-E-182-001 and 102-2622-E-182-005-CC3), Chang Gung University Research Project, Finnish Funding Agency for Technology and Innovation (project, Imphona), Academy of Finland (project, Optifu), European Union Framework Programme 7 (project, Napep) as well as Kempe Foundations and Bio4Eneregy program in Sweden. The financial support of TÁMOP-4.2.2.A-11/1/KONV-2012-0047 project is acknowledged.